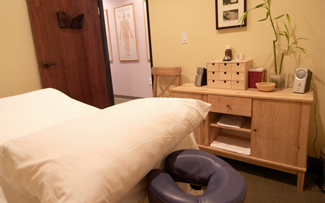 Your first visit includes a consultation and acupuncture treatment. A herbal medicine consultation will be included if appropriate. We will discuss any health concerns you have and your overall health and constitution. Commonly we will perform pulse and tongue diagnosis to get a better understanding of your constitution. If you have pain we may also check your range of motion or press around for tender points. We may also discuss aspects of self-care such as diet and exercise. Following the consultation you will receive a treatment and then rest for about 30 minutes. Most people find acupuncture very relaxing and use this time to nap, meditate or rest. Soothing music, lighting and environment enhances the relaxation. Heat may be applied as well to relax muscles or make you more comfortable. Once the acupuncture is complete we may then apply topical pain relief creams, cupping or other modalities if necessary. The first visit and follow-ups last about 1 hour. Your first visit may be 10-15 minutes longer as it includes filling out paperwork and a more detailed consultation. More information about the course of treatment can be found in the Acupuncture FAQs. You are encouraged to "take it easy" after your treatment. Most people feel relaxed following acupuncture. This relaxation is beneficial to the mind and body and we encourage you to avoid overly stressful or strenuous activity after your treatment. Please include your Name, Email, Phone Number, Date of Birth, Insurance Plan Name and Member ID. We will check your benefits and contact you as soon as possible. "Thanks for all your help and good energy."